Are you ready to find out: What’s In The Box? 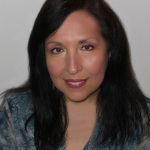 In my previous post I proposed a remote viewing experiment based upon an evening I spent learning psychic detective techniques directly from psychic detective, Nancy du Tertre. In class I held a box with something in it that I couldn’t see, and I had to come up with impressions for what the object was. To my great surprise the images I received were very significant! There was so much interest in this exercise that I put together our own experiment for readers of Powered by Intuition titled: What’s in The Box? I’m now working on a Part 2 article based on the other exercises we did in class using photos – some related to a crime. That should be out later this week so check back. As you read through the impressions you’ll notice some of you said: I see, I picture, or I feel, or I got an impression. These are clues as to your dominant way of sensing. Some of you are visual, and others more feeling oriented. I’m listing the impressions everyone sent me exactly as they worded them. As you read my interpretations see if you come up with any of your own that could apply. I see: baby grand piano, possibly a music box or some type of jewelry object – The front of the food scale is “black” and kind of reminds me of a black key on a piano. You also play “scales” on a piano, so that might be it. The music box impression could come from the round weighing surface of the scale? Or, the Ped Egg opens – maybe that ‘s where the impression of a box came from? Brooch – I don’t know what kind of brooch it was – was it metal? Was it white and egg shaped. It could be an impression from the Ped Egg, but without more info. I don’t know. Ring – again more information is needed on this one. Money – what kind of money? paper, or coins? If coins maybe the metal is related to the weighing surface. Or the roundness comes from perceiving the shape of the Ped Egg. Cornflakes…(What??) – Might be picking up on the shavings from the Ped Egg! Ruby – impressions that come to my mind: gem, brilliant, precious, beautiful, & smooth. Maybe this is related to the Ped Egg and making your feet smooth and beautiful? Or, the red indicator on the food scale? I see a sort of panorama from a big window, it’s a town perhaps on the sea, inside is dark because of the light from outside, I see a round table with a blanket on it next to the window – The round table may be related to the rounded shape of the weighing surface and, or the Ped Egg shape. photograph – or image – design – there is a logo on the Ped Egg. magazine – Ped Eggs appear in magazine ads? Maybe you just saw one? fabric – not sure? Soft, pliable, draping?….the Ped Egg makes your feet soft? My first impression was something rocky and rough, and that cleared into words (unclear ones) etched into granite. I stayed with that for a few moments, and then it was like the camera panned back and I saw a rough headstone. In spite of this seemingly dark image, it felt light and happy. I heard birds singing, saw blue sky, and felt a breeze. Then I saw a little white rabbit. – Feet before using the Ped Egg are rough. “Etched” maybe related to the the function of the Ped Egg. Also the numbers on the food scale are silver-toned on a black background. Maybe this is how you were perceiving the scale? A little white rabbit could be you were picking up on the white Ped Egg. I have to tell you that the first thought that came in to my mind was HAIR! Now where did that come from…maybe it’s a play on the word HARE so could it be a rabbit or something small and furry??? – Interesting we had a “little white rabbit” previously. This may also be related to the Ped Egg? – a high-heeled red court shoe – perhaps the shape of the shoe is related to the shape of the food scale? I can see how that might translate into a high heeled shoe. – Daniel Day Lewis’s character in There Will Be Blood. – not sure about this one as I didn’t see the movie. Love to hear your impressions in the comments though after knowing what’s in the box. a spatula head with a cornflower blue ribbon tied to it, enmeshed in white tissue paper, a mouse and sunshine – perhaps the spatula head comes from the oval and spoon like shape of the Ped Egg when it’s opened up? The blue ribbon (another ribbon? hmm?) could be related to the blue writing and foot logo on the Ped Egg. Enmeshed in white tissue paper – maybe that’s a play on words – the shaved skin is like “tissue paper?” A mouse could be related to the small rounded shape of the Ped Egg (was it a white mouse?). Sunshine – could be come from relating the round weighing surface to the shape of the Sun? I imagined your box. I saw a rose, a flame of a candle and some kind of animal face that might be a kitten – a rose has “petals” which could be something like “pushing down on a pedal” when you put something on the food scale? The flame of a candle could be oval shaped like the Ped Egg? A kitten face – I have an adorable photo of a kitten on the wall over the desk where the box was all this time? I got something curly, wound up like a slinky. Could be a little bamboo plant curled up in a little vase. Could be wire, a small statue sort of thing, lots of curls or curves, not hard angles. Something coiled up, curvy. Reminds me of a little bamboo plant growing in a little vase. I also got a wire sculpture–copper or some other kind of wire looped around to make a figure of some sort. I got a flash of dried bamboo or wood of some sort, narrow, thin, about 1/2 in diameter, sort of dark, like the color of tea, but striated, not all one color. A stick, sort of. But a figure kept popping in with that. This morning I got “Menos.” – I think you picked up on a lot of the shapes being rounded and smooth. Something wound up like a Slinky could be the food scale. I think you were picking up on the tension of the measuring device in the scale. The figure that kept “popping up” could be the way the scale pops up when you remove the weight? I can’t find a Menos in history, but there is the Minos of Greek Mythology. He was the King of Crete. After he died he became the judge in Hades. Maybe because he had to “weigh the souls of the those damned to Hades” he came up as a symbol for you? A pencil, a safety pin and a small box of matches is what I saw in the box – not sure about the pencil. A safety pin opens and closes in sort of the same way as the neck of the scale going up and down, the Ped Egg opens and all the shavings are thrown out (maybe the matches are like the shavings?). I could see my boy frd’s picture, bottle of wine, a rolling cub, a cat’s face, merry go round n a waterfall – not sure about your boy friend’s face, or the bottle of wine. A rolling cub and cat’s face could come from that photo on my wall of a kitten. Merry go round could be related to the shape of the weighing surface on the food scale. The waterfall could also be related to the way the scale curves out and down in the front. The inside of the box was lined with red velvet, very soft and very smooth. Lying on the velvet was a plain, grey metal crucifix, also very smooth and plain. It gleamed dully when exposed to the light, much like pewter. There was no chain. I also got the feeling that something that should have caused joy caused sorrow instead – the box wasn’t lined. The metal, smooth, plain, pewter like images could come from the scale. I was a bit sad when I found the PedEgg and realized my father must have ordered it through the mail, but never got to open the box. First a bracelet, then a gold watch, a clear crystal quartz wand, my crystal manifesting bracelet that I haven’t taken off in months since a reader sent it to me and a sunbeam- ray of light? – it seems like you picked up on the working parts of the scale with the gold watch. What do you think of this experiment? Was it successful? Now that you know what was in the box can you add any other ways the impressions relate? Thanks for participating. It was fun! If you enjoyed this article please subscribe and share on Twitter and Facebook. Thank you! How neat! it’s pretty interesting how things can relate. I think this was a first time for many of us participating and something that I wondered about was – what do I feel, or see, vs. what I am I thinking or trying to make sense of. Like intuition, I think it takes practice to learn to differentiate between what we’re receiving and what we are thinking. It was a fun experiment. Perhaps we’ll do another one? I know it was really interesting to see how everyone’s mind works. It’s interesting to get a sense of whether you are more prone to receive information visually versus emotion sensing too. Once you know your strong suit you can not only work to develop it further, but then work on the area you’re weakest in. We’ll definitely do another one! I’m looking for cool things to put in the box now! Interesting, yes the gold watch was a strong image- when you look at the image of the PEd Egg can you see the light shining behind? I think your watch image was right on the money! I do the see the light from behind the Ped Egg. It was a reflection from the ceiling light onto the surface of the table. Like anything, doing something like remote viewing just takes practice. We all are so much more tuned in to everything around us than we realize. Maybe we’ll do the next one next week? That was fun to see the results. It is actually a revealing exercise that really has us take a deeper look at the inner workings of the mind. 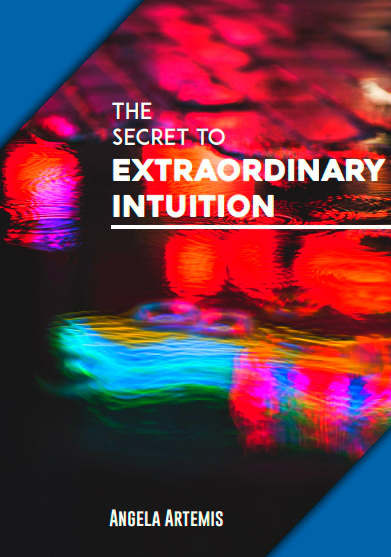 I’m sure that honing ones intuition through such experiments can help us gain clarity on our own thinking. You make some good points. 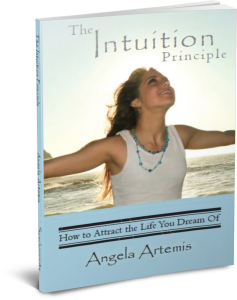 Honing your intuition will expand your mind. 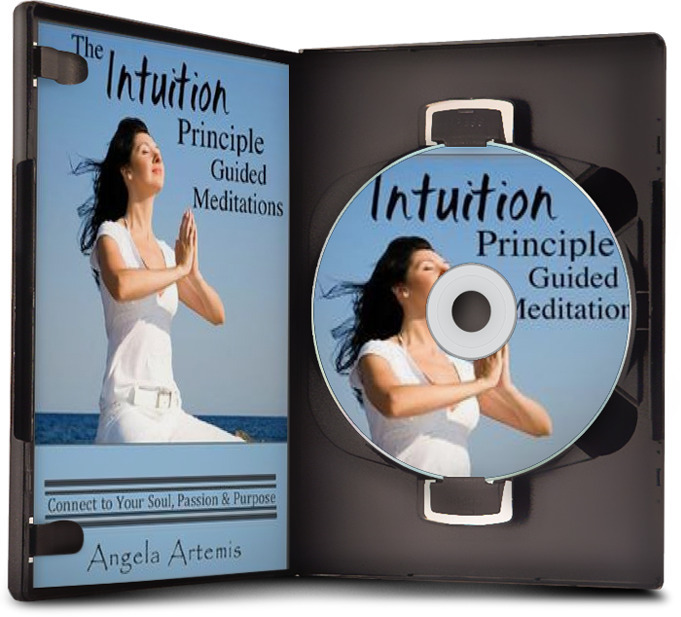 You’re able to learn to use more of your mind, since accessing intuition accesses a different part of the brain. You become more creative and better at problem solving too. It’s applications are infinite. I agree with others that this was really interesting and fun. The information about your father and his passing and that you found the egg in his things. When you said that perhaps I was sensing his happiness in his new realm of existence, that absolutely resonated with me. The sense I got was of total peace and tranquility and joy and it was very strong. Gives me chills to consider I may have tapped into his energy through the egg. Thanks for give us all this chance to practice our intuitive powers. I’m glad you found this to be a fun exercise. It never ceases to amaze me how much we’re all interconnected. I think you did tap into his consciousness. He is happy where he is. That much I do know. I hope if I do this again you’ll participate! Hi Angela, you have an incredible sense. If this was a subject in my high school or college education, I’m pretty sure I would have been the first to fail LOL! But to be honest, I am fascinated by this subject and how it works. I wish I could train my brain to function like yours. Thank you so much. You can’t fail! You’re innately programmed to receive this information, and are in fact receiving it all the time. It’s just that you’re not aware of it. These exercises help train you to become aware of how this process works within you. I’m going to be doing this exercise again in the future. Come back and try it with us. It’s fun too! Thanks so much for visiting and joining in the conversation here Anne! This is really an amazing thing to take part in. I have experimented differently with my brother, as we seem to be really connected. We had a “meeting place” in our minds. The same place, that both of us knew well. In our mom’s basement. We would count the steps and breaths it takes to get there…even the car ride. The exact time. And when we get there, we reach for the light switch, turn it on and look for the other. (all in our mind) When I found him, I wanted to give him a message. I pulled out a chalk board and drew a rainbow. Back and forth I made the chalk arc left to right to left. All of a sudden, he shouted out “you’re waving at me!” It was pretty close! We had tried again where he would send me a “message” and I got it. Have you heard of this? He had said a professor of his told him about it. That’s a really cool exercise! I do think your brother picked up on the movement and translated it into a wave from you. How do you do this together by phone? Or, are you in the same room together? I look forward to the next one. What you say makes a lot of sense. I too believe you were picking up on my father and our relationship as well. Ahhhh I’d meant to play this game and then got totally distracted and forgot! I hope you’ll do another experiment like this soon so those of us who missed and try it out, too! Hi Lindsay, Yes, I noticed you’d not participated. I almost emailed you…. But, I didn’t want to be a nudge! Next time – for sure! So interesting. Skeptics would say that you can make almost anything relate to the objects. But after reading Ingo Swann I know that he had the gift and worked with the CIA. He said it takes time. People need to clear their minds first. and be open. After a while the visions are remarkably accurate. Yes, I’m sure the skeptics would say that! It definitely take time and practice. I’m looking forward to practicing more myself. That Ingo Swann sure is a character! I missed out on it….got a bit busy working on a new ebook the last few days. A friend and I used to get on the phone and we would each get an object, maybe a piece of paper. We would both hide or objects, then compare where we put them. You got some great practice with your friend. That’s what it takes, really. We are all able to do this. We’re picking all this information at all times – we’re just not aware of it. This was very fun! You’ll have to try it again sometime. I can’t see that I was near with the candle and the rose. The kitten image was the last to come to me as a second thought almost. It was a little fainter and uncertain than my other images. Maybe because it was outside the box. Yes, I’m thinking we need to do it again too! Yes, although maybe the kitten came from the photo I have over my desk? Last post I commented that one of my biggest lessons (from an amazing psychic) was that we are getting these impressions from somewhere.One time when we all were working on a crime, several of us saw an Indian-type blanket or pattern. Our teacher, the psychic detective, didn’t know how that fit in but made it a point to check on that for us. Indeed, the body had been covered with a rug that had an Indian pattern. So I think it’s always fun to see what came up multiple times (like the bunny) even if it’s not accurate, and see how it might relate. Long story longer, I wondered if maybe I/we picked up the scene outside your home instead of what’s in the box. Do you live in a town? And is there snow, by any chance? Great stuff about the Indian blanket. That would be a good clue for police to see that you were actually tapping into the crime. Yes, I live three blocks from a busy little town. We are up to our necks in snow this year! I’m so glad you enjoyed it. I think we need to do it again. How interesting! The curled up, wound up stuff that kept coming to me–bamboo, wire–sure, that could relate to the scale–the springs of a scale. And the little stick I saw looks like what holds up the “platform” or plate part of the scale (the shape and size, anyway), the part you put things on. The bamboo plant curled up in a vase–the egg, like an embryo. The curves, curvy–yep. Bingo on Menos/Minos. I kept getting an island and I looked up all the Greek islands to be sure, but no Menos. But that figure kept coming in. I thought it had to be from Greek mythology but got busy with other things–very cool. Minos from Crete and the judge position–makes sense that would come up for me because I studied a lot of mythology in school, poetry and so on, so that could be what my brain named or classified what was coming in as a symbol. It was fun. I think it’s a great way to stretch the mind and learn to use more of our brain capacity. I think it helps us to become more creative thinkers. Yes, we’ll definitely do it again! I’m so glad you sent in what you got! You did very well with your impressions. By going back for more information you came up with Menos. You also tried to “feel” more, rather than “guess” about what’s in the box which is why you were getting those shapes. When we take time with it and allow ourselves to connect with the object the impressions are stronger. If we close our eyes for a split second and just spit out the first things that come to mind we may just be seeing superficial images from the mind’s eye. You have to go back to it several times for more impressions. That’s why I said to try for at least 5 impressions which means staying with it for a minute or two with the eyes closed.